Debris such as leaves, dirt, insects and bird droppings are not only unsightly in a pool but also provide nutrients for algae and bacteria to feed on. 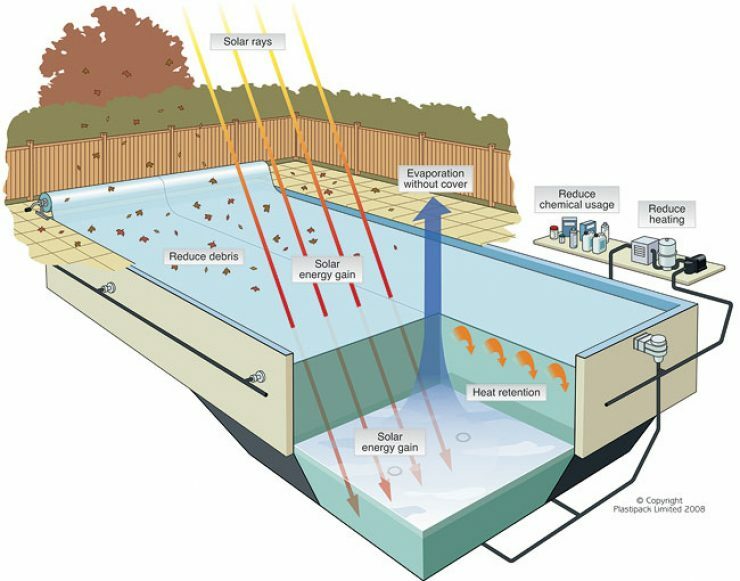 When the pool is covered these contaminants will be kept out of the water, greatly improving the quality and appearance of the water. The Sol+Guard cover has a 6 year pro rata warranty. By reducing the amount of energy needed to heat and filter your pool water, a Sol+Guard cover will greatly reduce your CO2 footprint. It also conserves water and, at the end of its life, the cover is 100% recyclable.